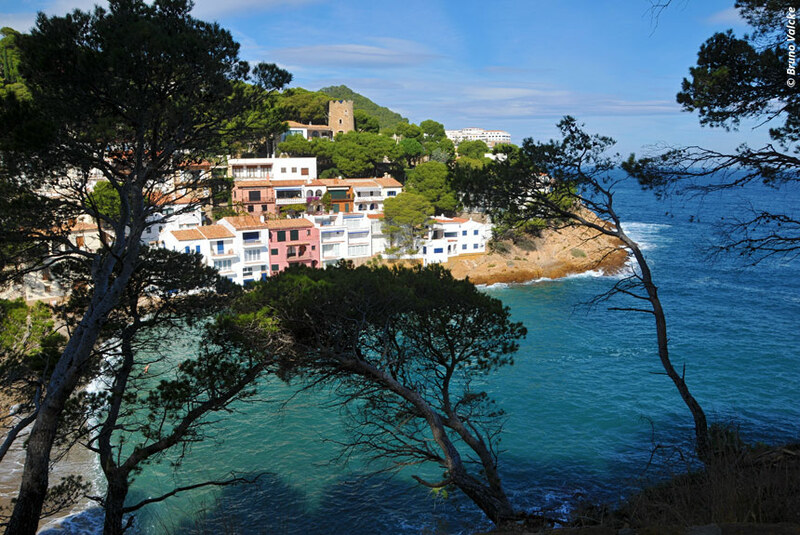 Between the Med and the mountains, and between France and Spain, this short cycling holiday under the sun of Catalonia is practicable for most of the year. It will take you through sun-drenched landscapes, presenting you with panoramic views of the deep blue sea, the superb harbours of Collioure, the terraced vineyards of Banyuls, the white-washed houses of Cadaqués... this trip has a lot going for it. Not to mention the chance to take a dip in one of the many mysterious Catalonian creeks! Standard option: You make your own way to Collioure (secure parking). With extra airport pick-up: We pick you up from Perpignan airport or railway station and take you to Collioure. Pick-ups also available from Toulouse, Carcassonne, Montpellier, Girona or Barcelona (please consult us for prices). 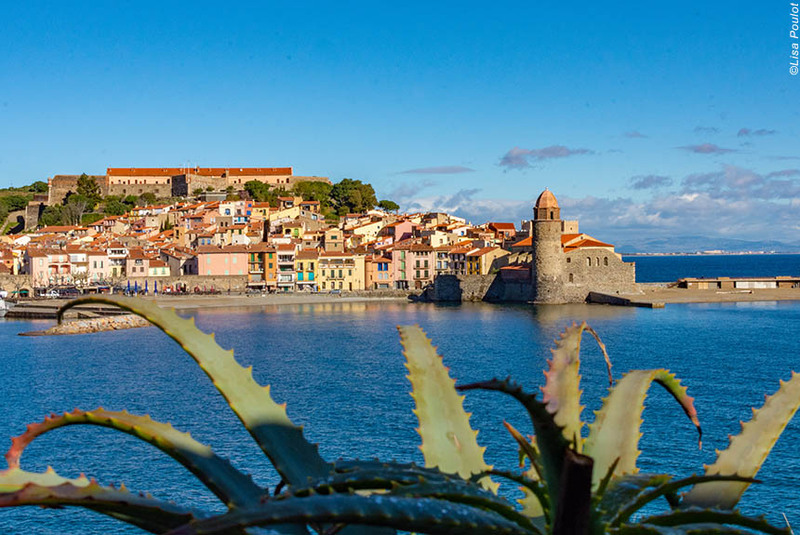 Collioure is an old fishing port with a waterside castle, and remarkable heritage, not least because it is the birthplace of the artistic movement of Fauvism. Depending on your arrival time, you can choose to walk around the town, and/or take your electric bike for a short trip up to the Col de Mollo, with magnificent views along the coast. The hotel is welcoming and well-situated at the very heart of Collioure, just metres from the port and the sea. Dinner will be in a nearby restaurant (The "Can Pla") which offers a selection of local specialities. The first day's ride is all the more enjoyable because you have an electric bike. You will first ride to the pretty port of Port Vendres then continue on through vineyards and sea views to Banyuls-sur-Mer. A balcony route, with numerous exceptional viewpoints out to the Mediterranean, will then lead you to Cerbère. Then there is a climb to the border with Spain at the Coll dels Balistres. 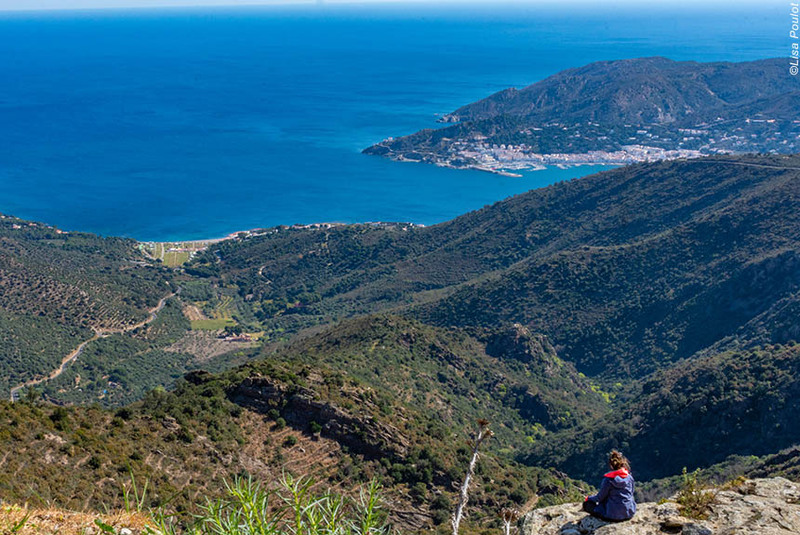 Once your two wheels are firmly on the Spanish side of the col, it will be time to descend down to Portbou, where there are stunning views of the creeks ahead of you. 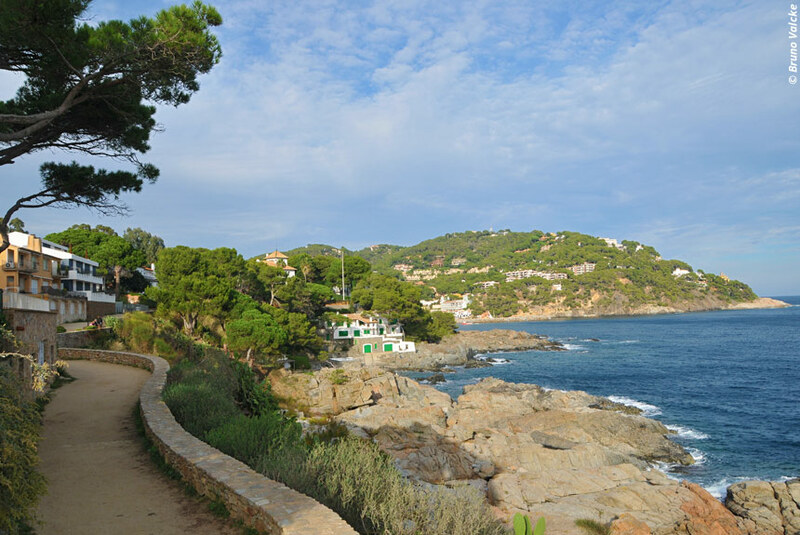 A panoramic route takes you past 2 superb beaches where a spot of bathing would be highly recommended before heading on to Colera and finally Llança, which is where you will stay for the night. You stay in Llança, which is an attractive and interesting resort (lovely beach) and fishing port. The Hôtel Carbonell is situated in the centre of the village, and is without doubt the best place to stay - very comfortable and welcoming. You also dine at the best restaurant - the nearby Le Pati Blanc - offering a range of regional specialities to extend your knowledge - and enjoyment - of Catalan cuisine. From the port of Llança you will head out of town and on towards some beaches and the pretty little harbour of Port de la Selva. From here, you will almost certainly make quick progress along a fairly undulating road. The beauty of this road alone justifies the day's small mileage as it is worth taking your time here. The extra time you have will also allow you to take a break just after Llança for some bathing and to make the most of your stay in the wonderful town of Cadaqués. You can the afternoon exploring around the town or (why not?) you could also stay on a high of pleasure and effort by riding out to the extremity of Cap de Creus ("Cape of the Cross") and back. Magnificently refined establishment right next to the seafront and the port of Cadaqués on one side, and with a garden filled with olive trees and a swimming pool on the other. There are plenty of good restaurants in cadaques, so you can choose which one suits you best for your last night. Standard option: At 9am (after breakfast) you will have a transfer back to Collioure (to collect your car if you have left it there). We can stop off in Figueras, where you will have the chance to visit the Dali Museum for an hour and a half (subject to opening hours, please inform us when you book if you wish to stop at the museum). With extra airport pick-up: At 9am (after breakfast) we will transfer you back to Perpignan airport or railway station. If your flight times allow, we can stop off in Figueras to visit the Dali Museum for an hour and a half (subject to opening hours, please inform us when you book if you wish to stop at the museum). Transfers also available to Toulouse, Carcassonne, Montpellier, Girona or Barcelona (please consult us for prices). Visits : The opening days and times for the museums are liable to modification, so we recommend that you check them before booking your trip and then double-check again a few days before you leave. 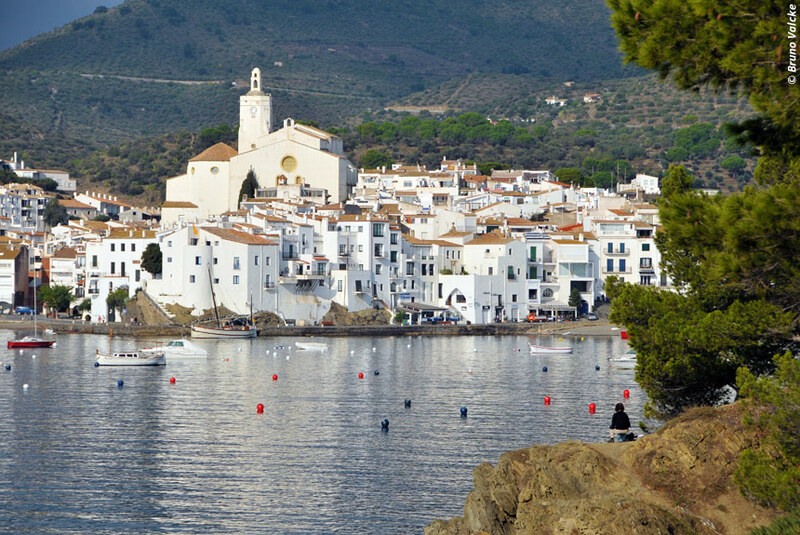 If you leave with us at 9am from Cadaqués, no booking is necessary for the above museum. For Casa Dali (Port Lligat), booking is essential (00349 72 251 015). From February through to the beginning of July, and from the end of August through to the end of November. For your safety and comfort we do not run this trip between the beginning of July and the end of August due to the large amounts of holiday traffic on the coastal roads. Total trip distance = 60 to 80km. While a reasonable level of fitness and some regular cycling are advantageous, the journey has been made a lot easier because of the electric bikes. Your luggage will be taken on to the following night's hotel, so you will only need to carry the things that you will need during your day's ride. In double rooms (singles available for a supplement). 2 nights in 4-star hotels and 2 nights in 3-star hotels.On the first night it is possible to substitute the 3-star hotel for a 4-star hotel with a gourmet restaurant (1 star in the Michelin guide) (supplement required). Meals are usually a choice of local specialities made with local produce. Sandwiches and picnics for midday are not included in the price. Hotels may be able to provide you with picnics to be paid for directly at the hotel. Electric bikes collected in Collioure and left in Cadaques, 2 nights dinner, bed and breakfast, one night bed and breakfast, the transfers mentioned in the detailed itinerary, luggage transfers, and a travel folder containing maps, route descriptions etc. Drinks, entry tickets for any extra visits you wish to make, picnics, booking fees and insurance. If you want to hire a GPS device, please tell us at the time of booking. 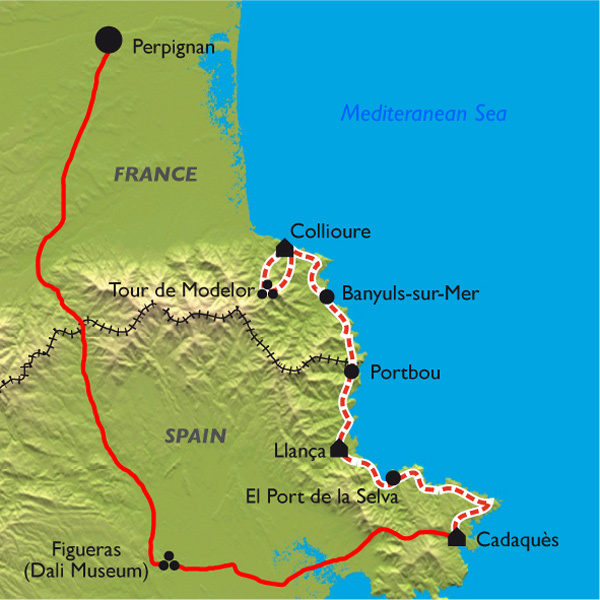 All our cycling holidays "Coastal Journeys"